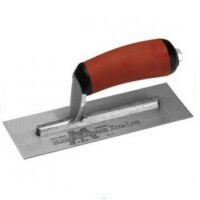 Marshalltown Permaflex Stainless Steel Plastering Trowel 18" x 4.5"
Marshalltown Permaflex Stainless Steel Plastering Trowel 18" Features Trowel length: 18" ..
Marshalltown Permaflex Stainless Steel Plastering Trowel 13" x 4.5"
Marshalltown Permaflex Stainless Steel Plastering Trowel 13" Features Trowel length: 13" ..
Marshalltown Gold Stainless Steel Plastering Trowel 16" x 5"
Size 16in x 5in - 400mm x 125mm. Gold stainless steel blade. 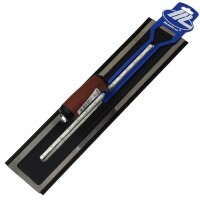 Durasoft handle. 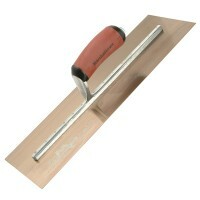 ..
Marshalltown Stainless Steel Plastering Trowel 18" x 4 1/2"
Size 18n x 4 1/2in - 450mm x 113mm. Durasoft handle. Single hang. Riveted m..
Marshalltown Permaflex Stainless Steel Plastering Trowel 11" x 4.5"
Marshalltown Permaflex Stainless Steel Plastering Trowel 11" Features Trowel length: 11" ..
Marshalltown Permaflex Stainless Steel Plastering Trowel 12" x 4.5"
Marshalltown Permaflex Stainless Steel Plastering Trowel 12" Features Trowel length: 12" ..
Marshalltown Stainless Steel Plastering Trowel 14" x 4 3/4"
Size 14in x 4 3/4in - 350mm x 119mm. 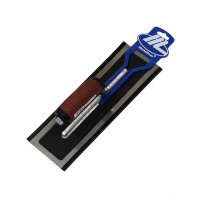 Durasoft handle. Single hang. 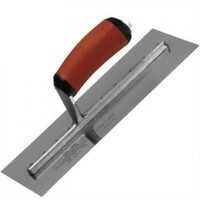 Riveted ..
OX Pro Stainless Steel Plastering Trowel Features Size: 18" x 5" (457mm x 127mm). 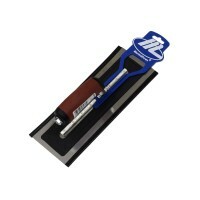 H..
Marshalltown M11SSD Midget Trowel Features Size 8in x 3in / 200mm x 76mm. 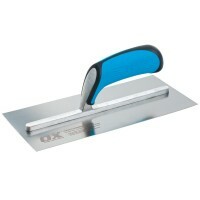 Stainless..
OX Pro Stainless Steel Plastering Trowel Features Size: 11" x 4 1/2" (280mm x 110mm). 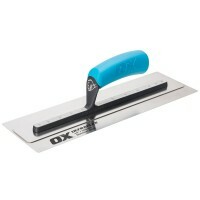 ..
OX Pro Stainless Steel Plastering Trowel Features Size: 14" x 5" (356mm x 127mm). H..